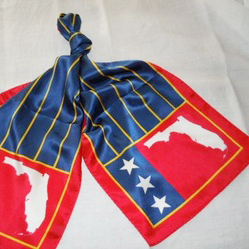 The attire of the Florida Commodores Association is acceptable and appropriate for all semi-formal social events in the yachting community. In all cases, an appropriate name tag should be worn. However, in some cases, local custom may suggest modifications. 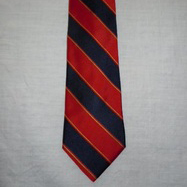 The following depict the uniform standards of the Association. Each member is permitted to wear a bullion badge representing their chapter. The badge without the added 3 stars should be worn on the left pocket of the blue blazer. Three silver stars may be worn above the bullion over the pocket. However, if the chapter bullion has 3 silver stars embedded then the separate stars are not worn. Official insignia of the Association include the sleeve patch, the lapel pin, the tie, name tag and shoulder boards. 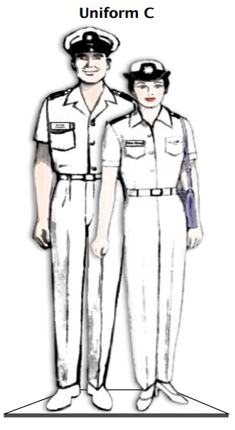 Sleeve patches are worn on the right sleeve of the blazer, centered from left to right and attached as follows: for men, four (4) inches above the cuff between the bottom of the sleeve and the bottom of the embroidered anchor or anchors; for women, four and one-half (4) inches between the bottom of the sleeve and the bottom of the embroidered anchors. The lapel pin for members and associates is a small. metallic representation of the official flag of the association. Members and associates who joined the association prior to July 1, 2009 have the honor of wearing the lapel pin with the words "Charter Member” underneath the pin. Those members who have been awarded the Four-Star Commodore distinction have the honor of wearing the pin presented when they received the award. Beginning July 1, 2009 the only lapel pin authorized for new members will be the regular lapel pin without the words beneath it. The lapel pin shall be worn on the lapel of the blue blazer through the buttonhole, or if there is no button hole, in the location where the buttonhole is usually found, or as a tie tack. Shoulder boards are also available for Full Members and Associates to be worn on the epaulets of the white shirt of the uniform. Association officers have shoulder boards which denote their position in the Association. 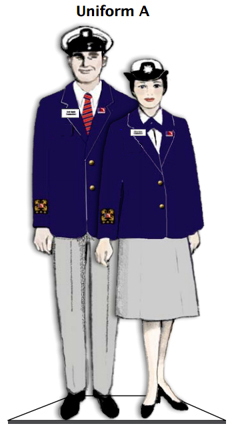 Full and Associate members are encouraged to wear standard FCA shoulder boards but are permitted to wear shoulder boards representing their Individual yacht clubs. when available. 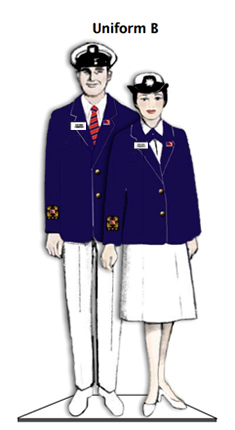 Associate members are encouraged to wear their yacht club or rank shoulder boards. 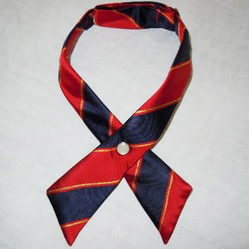 The Association Tie is an official symbol of membership In the FCA.